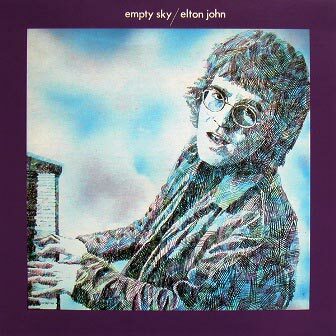 «Empty Sky» is the first true solo album John recorded after leaving Bluesology; it also marked the beginning of his long and fruitful collaboration with lyricist Bernie Taupin. Empty Sky is quite indicative of the post-Sgt. Pepper era. With its ambitious arrangements and lyrics, it's clear that John and Taupin intended the album to be a major statement. Though it shows some signs of John's R&B roots, most of the album alternates between vaguely psychedelic rock and burgeoning pop songcraft, capped off by a bizarre reprise of brief moments of all of the songs on the record. There aren't any forgotten gems on Empty Sky, but it does suggest John's potential.